The Ginga Mundo Association was created in 2004 as part of ONG Mandinga (Associação Integrada de Educação, Artes e Esportes), that is responsible for educational, cultural and athletic programs since 1998. The birth of the Ginga Mundo happened right after the first edition of the international event named "Ginga Mundo" in Bahia having Mestre Sabia, the coordenador of "Projeto Mandinga" as its creator. 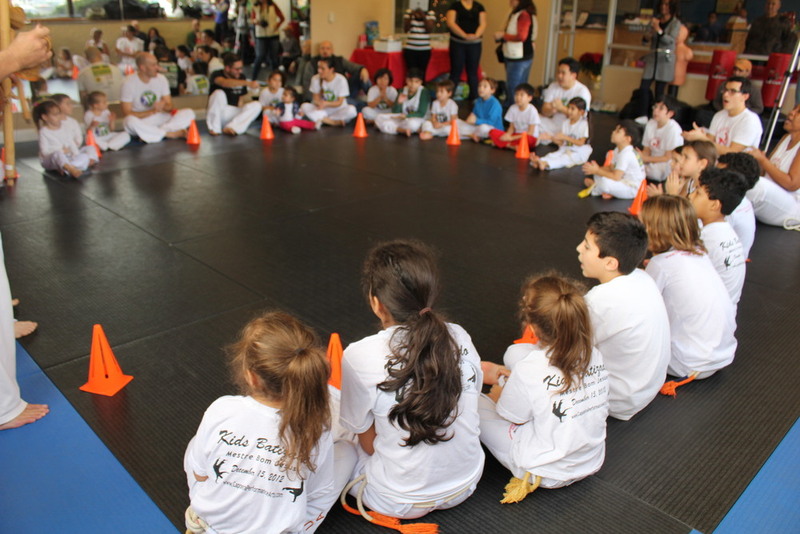 Ginga Mundo's mission is to contribute in the formation of values of human rights and ethics based on respect, socialization and freedom through the teachings of capoeira in recreation and disciplinary forms in schools and social programs. Ginga Mundo develops its projects through its members that are part of a world wide association present in Europe, United States, Australia, Canada and off course Brazil. Ginga Mundo acts as a professional school of capoeira, present in public and private school institutions throughout Brazil. In Bahia, its projects are present in many renowned schools such as Gurilândi, Módulo Criarte and Girassol to name a few. Through these projects Ginga Mundo spreads its benefits to more than 500 kids. It's works also reaches many other low-income communities through the teachings of other cultural manifestations like maculele and samba de roda, reaching an additional 350 children and adults alike in neighborhoods such as Brotas, Cabula, Abaeté, Itapúa, and others. At Ginga Mundo New Jersey our goal is to continue to expand our group's philosophy to use capoeira as a tool and a vehicle in the formation of great individuals thru our teachings and methodolgy . Our school offers a fun and friendly atmosphere to train in so you can learn capoeira at your own pace. Come in and check out for yourself. Capoeira is Afro-Brazilian martial art form that has earned international notoriety for its beauty and the skills required of its practitioners. 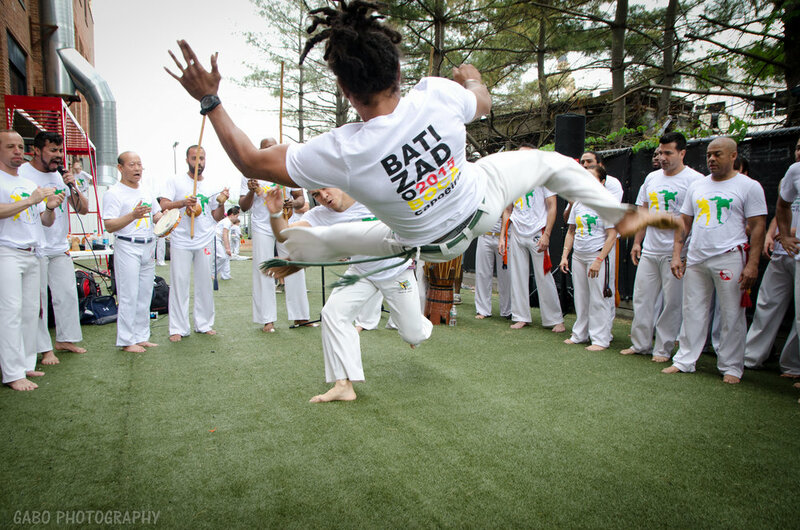 Because capoeira requires a combination of dance, acrobatics and fighting skills, those who practice must exceed physical strength and cultivate endurance, flexibility, and intuition. 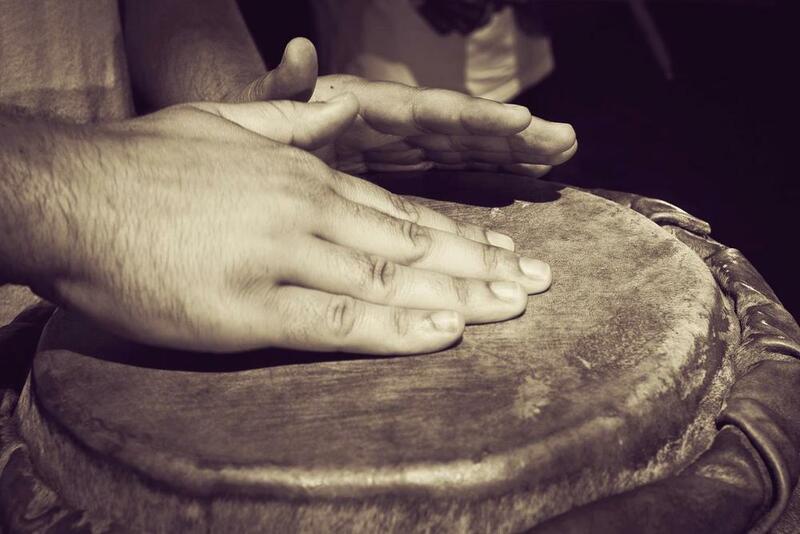 The music played and sung by the capoeiristas provides the rhythm for the games while capoeiristas create a dialogue of movements. The appeal of the game and its philosophy is so widespread that is now practiced around the world. 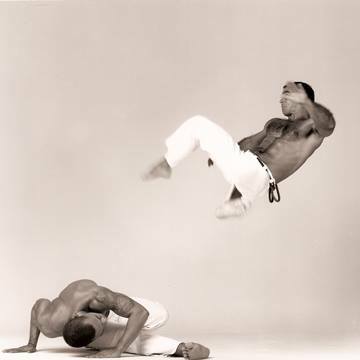 Because capoeira was practiced in secret for many years, its definite origins remain elusive. Most researchers agree that capoeira emerged among the African slaves in Brazil in the 16th and 17th centuries as a means of fight training. Unlike slave masters in the northern hemisphere, masters in Brazil permitted the slaves to sing and dance. Eventually, Brazilian slave masters felt threaten by the slaves' games and the fight aspects that was camouflaged by the dance and music. The beauty its players created in the "roda" (or circle) allowed the game to survive. After the slavery's abolition in 1888, capoeira was outlawed until the 1930's because it had become a lethal martial art. Once these laws were repealed, the Brazilian government recognized capoeira as Brazil's only true sport. 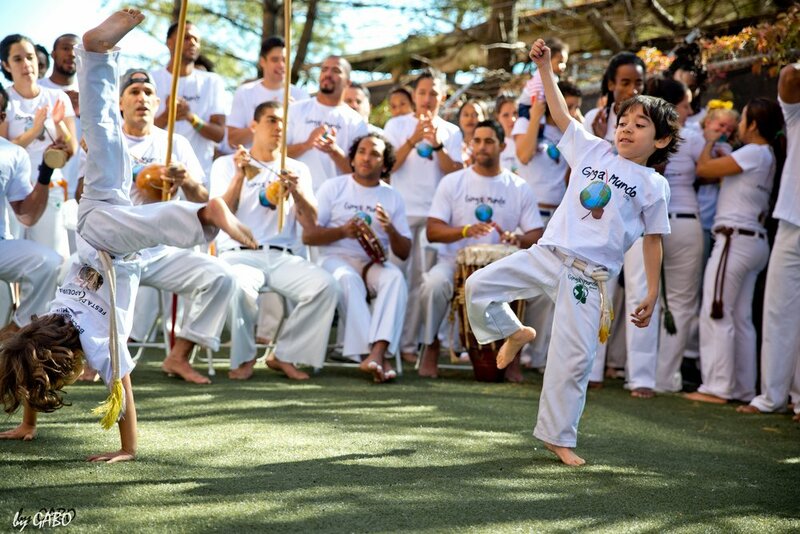 The Capoeira KIDZ Program is unique in that it combines games, music, dance and acrobatics to achieve the ultimate goal which is capoeira. Students learn the martial arts technique through games and drills that help them improve coordination, agility, flexibility and strength. Capoeira allows children the pleasure to discover their bodies' motor skills abilities thru the multiple challenges that improve their physical, psych and social learnings. In the context of physical education, the martial art aspects teach children how to develop their autonomy, independency, and self confidence. This also leads to them to be conscious of certain values such as their responsibalities, respect of their friends, persistency, friendship, confidence, sincerity, discipline, and organization skills. We believe that discipline and respect are taught by leadership and example, not by fear or force, giving our school a positive output and great environment for children. Our school's teaching methods are conducted in a friendly and non-stressful manner, which enable students to enjoy physical and metal exercises while improving at their own pace. This is accomplished with the guidance, encouragement and motivation of our instructors.